GSP’s training in conjunction with quality movement protocol, an optimal athlete will go through each of the following phases in our strength program. The growth and increase of the size of muscle cells. Hypertrophy is what we train for, to grow new lean muscle. It’s a workout that is aimed purely at muscle growth. Consists of intense weight training sessions with a rep range of 10-20 reps per set (3-4 sets per lift) are the most effective for hypertrophy. Muscle will be big and strong enough to withhold more heavy weight. With a regular strength training program, you can reduce your body fat, increase your lean muscle mass, increase significantly in strength gains, and burn calories more efficiently. For strength, sessions with rep ranges of 1-7 reps per set (5-7 sets per lift) are conducive during this phase. Tendons, joints, ligaments, & muscle will be strong enough to move heavier weights. Power training, also known as ballistic training, is a form of strength training with a twist. The main goal is to decrease the amount of time it takes you to apply a force (EMPHSIS IS SPEED ON THE LIFT APPARATUS). Any sport which involves quick changes of direction, quick bursts of speed, jumping or even kicking can be enhanced through adding power training to an exercise routine. Power is the combination of speed and strength. The main focus of power training is to maximize strength in the smallest amount of time. Sessions with rep range of 1-5 reps per set (3-5 sets per lift) are advantageous throughout this phase period. 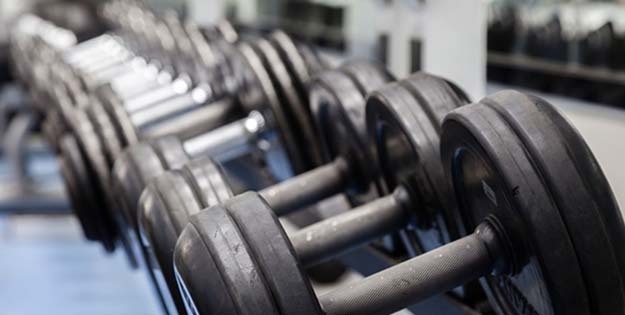 Tendons, joints, ligaments, & muscle will be strong enough to move heavier weights at a faster rate! This will be the last phase before the respected season/performance. In addition to strength & speed, building back the endurance to STILL move HEAVY weight during a short time period is vital in the final preparation for an athlete. Sessions with rep range of 8-12 per set (3-6 sets per lift).